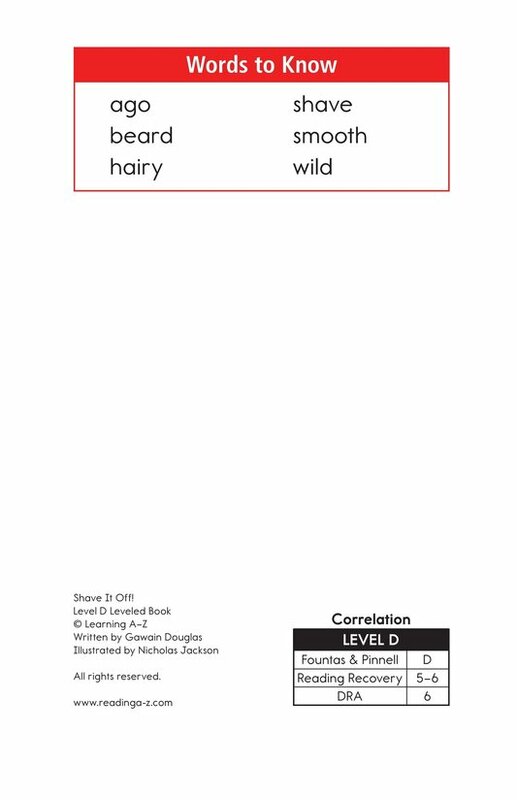 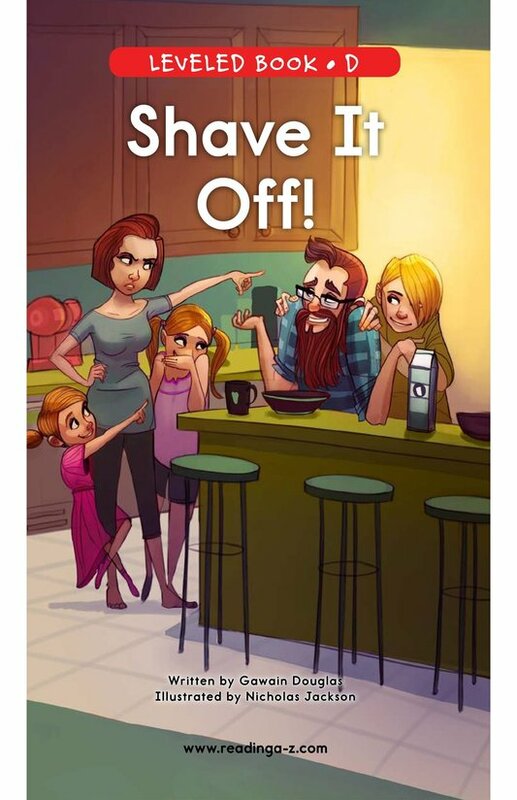 > Books > Leveled Books > Level D > Shave It Off! 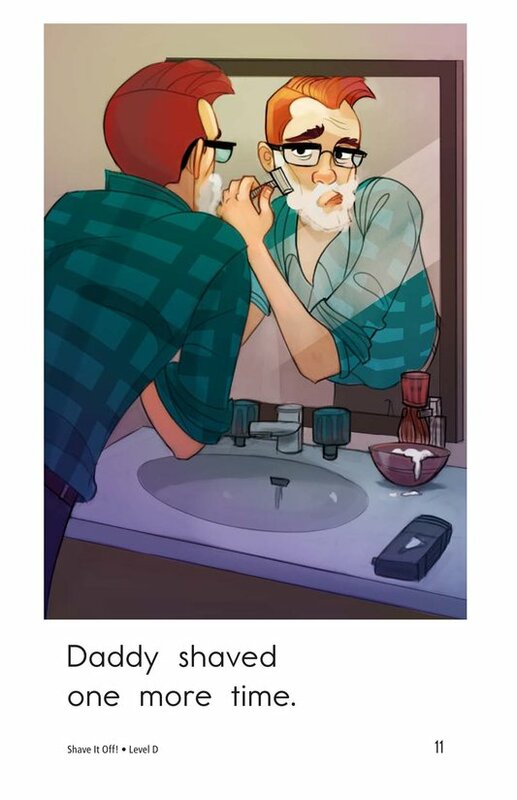 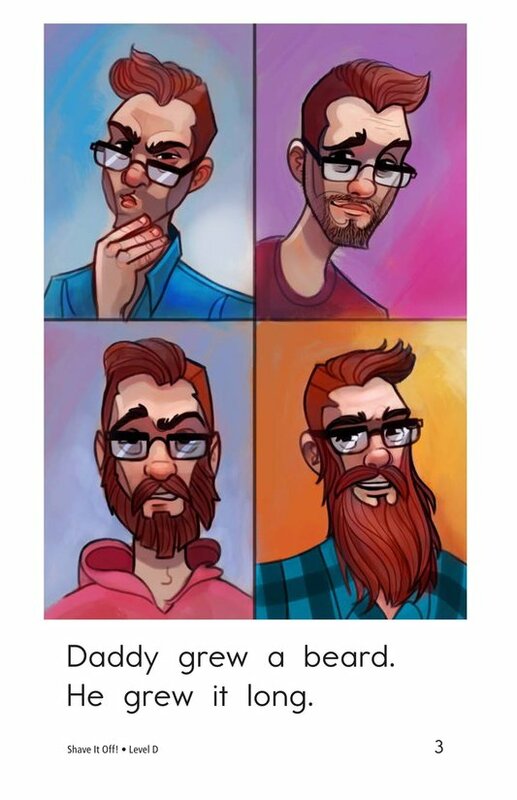 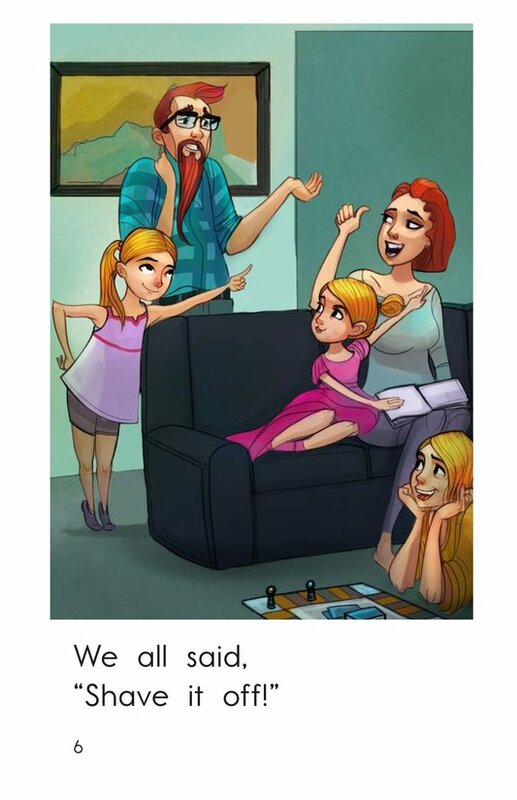 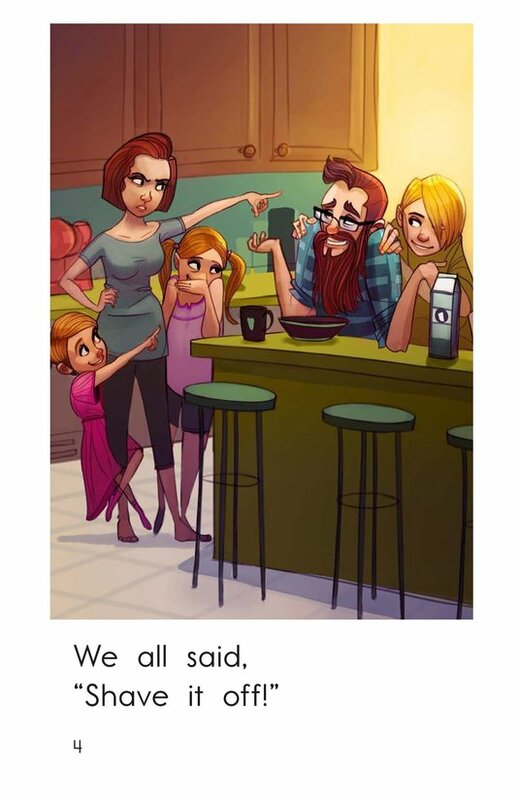 Daddy has grown a beard, but no one else in the family likes it, so they want him to shave it off! 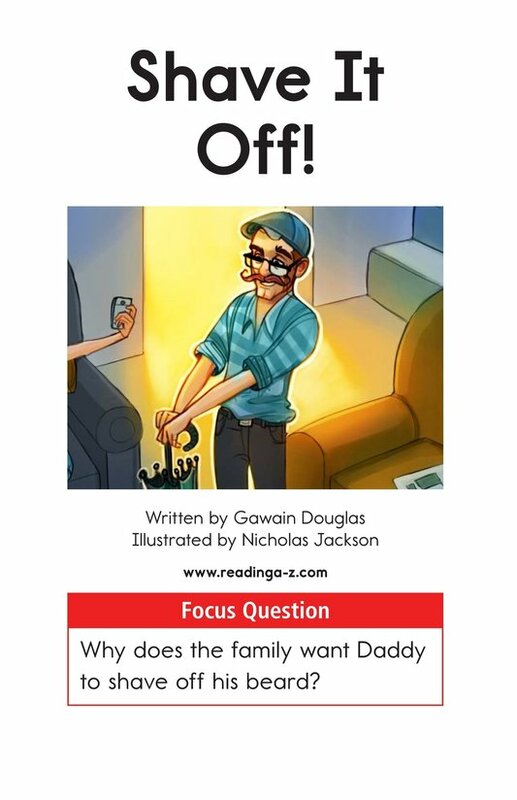 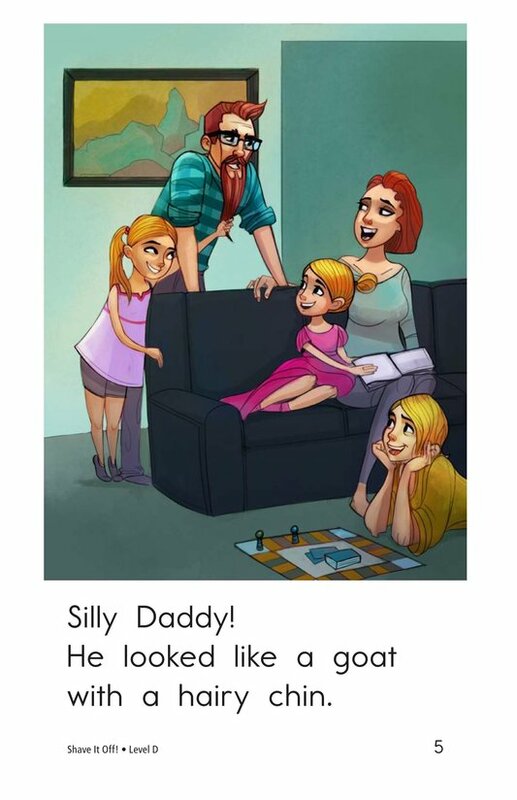 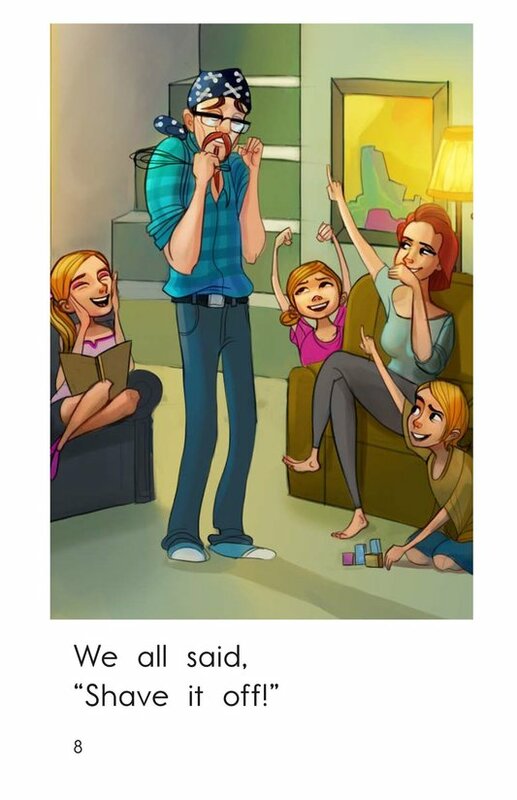 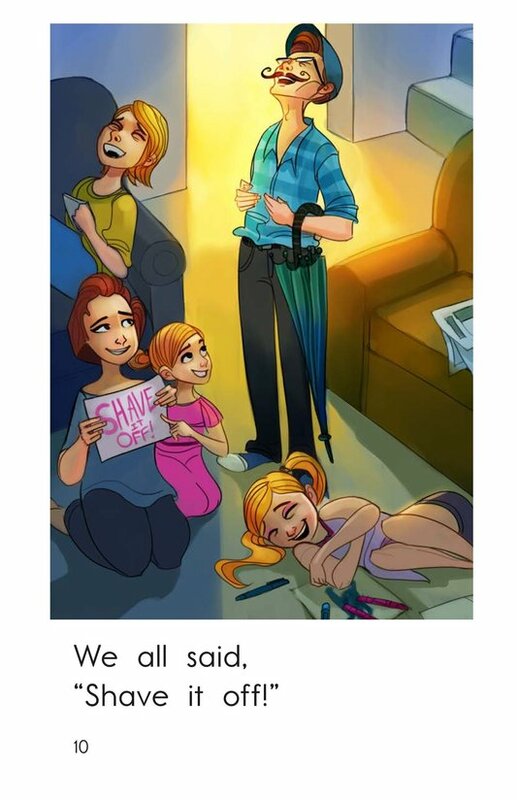 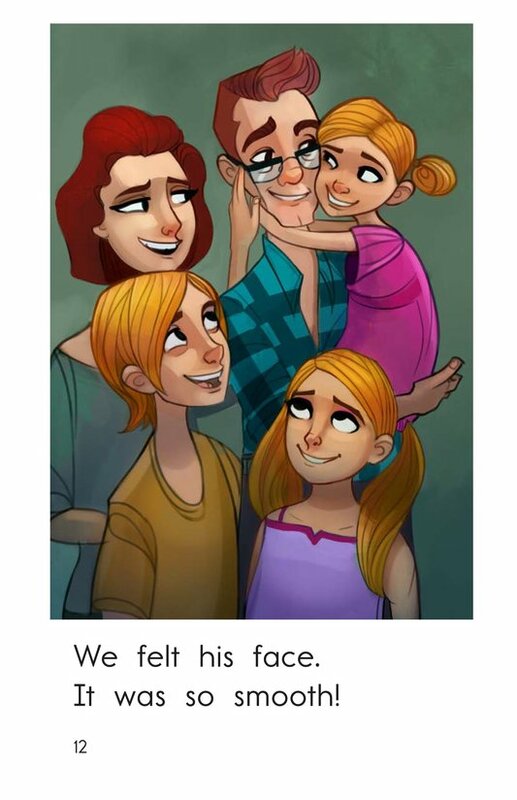 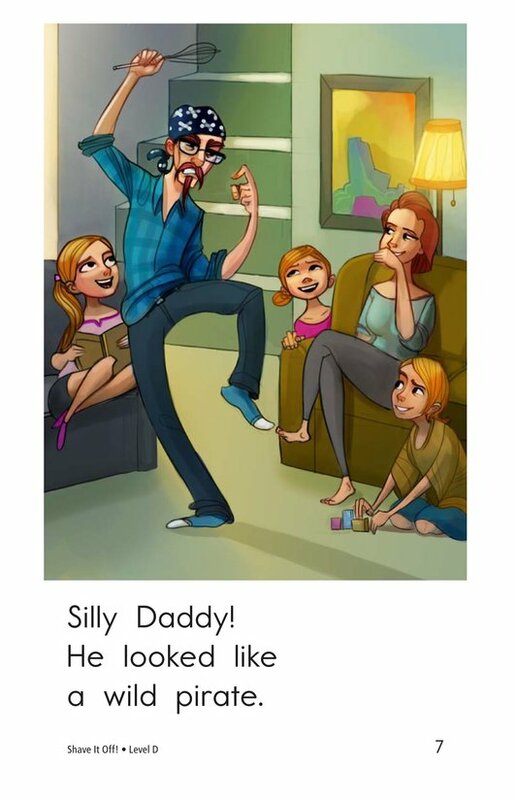 Young readers will relate to the humorous family antics in Shave It Off! 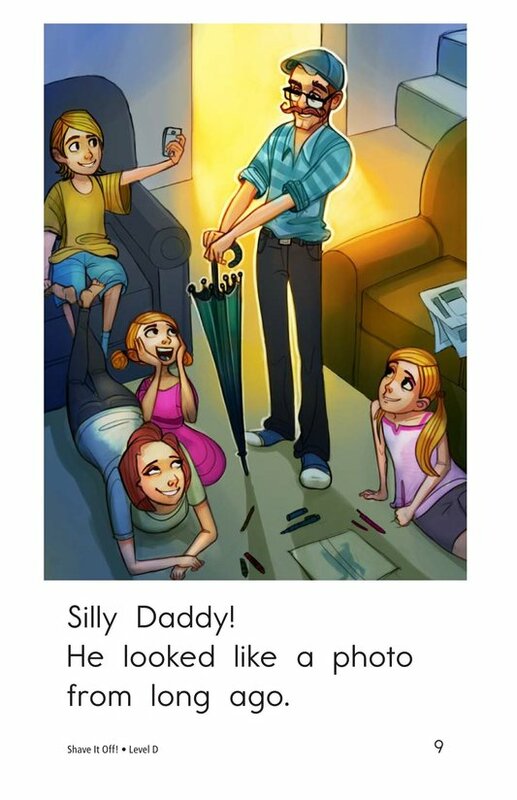 while being supported by the detailed illustrations and repetitive text. 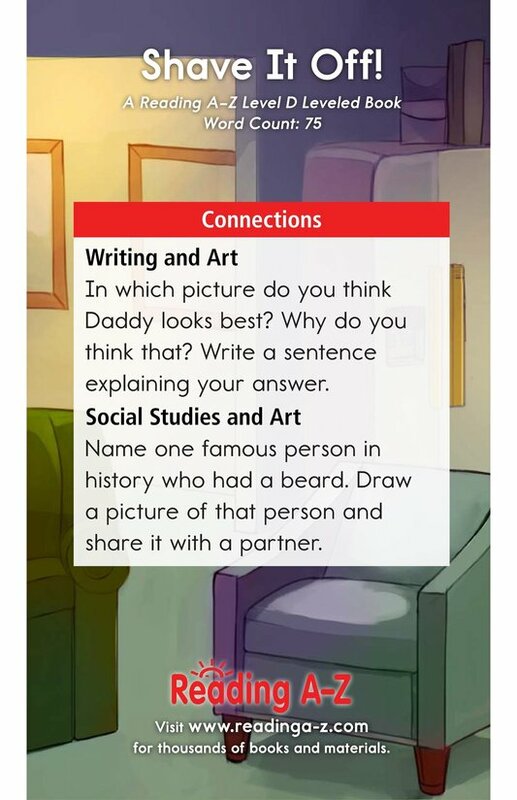 The book can also be used to teach students to compare and contrast and to use exclamatory sentences.